The prestigious design makes it perfect for use in seaside resorts, on beaches, pool sides and tourist destinations. 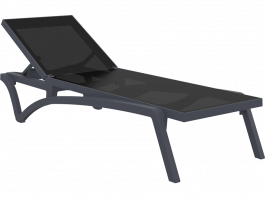 The frame, made entirely of thermoplastic (polypropylene), the adjustable back and quick-change cover showcase the practicality and convenience of this Tahiti Sun Lounge, guaranteeing durability. 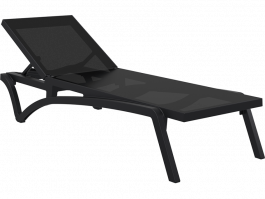 Pacific Sun Lounge without arms smooth profile is pleasant to the eye and makes it as stylish as it is functional. 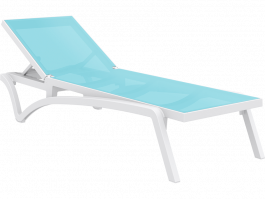 The Pacific Sun Lounge tubular frame in resin reinforced with glass fiber is strong yet lightweight, and will add class to any outdoor or poolside venue.